About the Book: Secrets surround Agromond Castle and young Jemma. Life at the castle is all she's ever known, but Jemma is not who she thinks she is and there is more to her past that she's about to uncover. 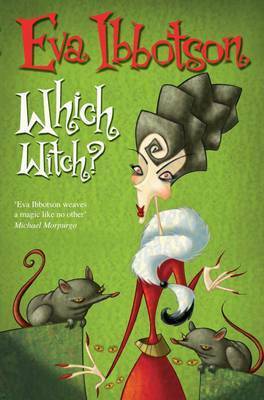 Jemma soon finds herself in a race for her life and with the help of her pet rats and her friend Digby, Jemma becomes wrapped up in a fight against darkness. 13. The bats…until you realize they’re friendly. 9. Too much spleen in the Entrail Soup making it way too slimy. 8. The Pickle Corridor, with its walls glistening black with mold and shelves of bottled gherkins that look like severed limbs. 7. The decrepit old servant Drudge. (Or so you might think.) He looks as though if you pricked him with a pin, yellow stuff would ooze out. 6. The Agromond motto carved about the Lush Room fireplace: Mordus Aderit. Which means “Mord is Everywhere”. “Mord” being a word for “death”, that’s pretty creepy. 5. The dungeons, especially the dungeons of bones, and the one you might get thrown into. 3. The Ceremonies. All those scary entities they summon. Very wearing on your nerves. 2. The Agromonds, especially Shade. And you can never be sure whether Nocturna Agromond is smiling at you or planning to do something really evil. 1. Waking up to the sound of screaming. Though it might just be in you, because of all the creepy things you’ve seen there. Or maybe it was all in your dreams. Check out the Creeptastic Trailer! 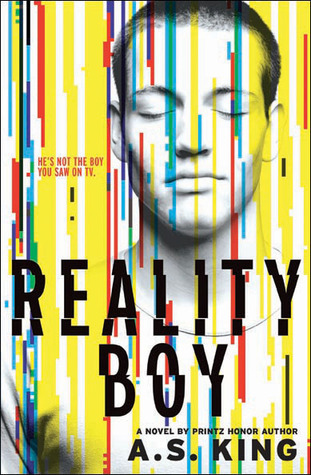 I've been thinking a lot about Christopher Healy's post (GreenBeanTeenQueen August 27, 2013) on how lame the term "middle-grade fiction" is, how it should be called awesome-grade fiction. Now I feel really silly for never getting the double entendre of "middle grade." Perhaps that explains the blank looks I get at cocktail parties. Ah. 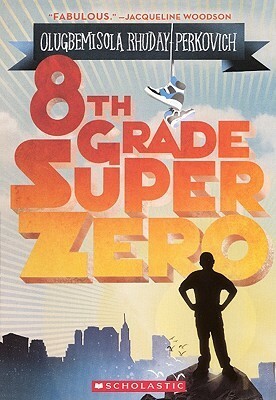 I agree that “middle-grade fiction” is lame and that "awesome-grade fiction" is awesome. But I'm thinking even bigger. I've heard that jazz musicians don't call what they play "jazz," they call it "the music." There's "the music," and then there's all the other kinds of music that all need qualifiers: classical, hip-hop, folk . . . In that vein — so I'm thinking — why can't "middle-grade fiction" be, simply, "fiction"? Because that's what it is: it's fantastic stories. It's the stories that people have been telling each other since people could speak: myths and fairy tales and epics and fables and that great human arc called growing up. Everything else is simply a variation in need of a qualifier: adult fiction, young adult, picture books, early chapter . . . I am, of course, hopelessly prejudiced on this subject. I write [middle-grade] fiction, and I mainly read [middle-grade] fiction. I have always read [mg] fiction — from the time I could read chapter books up until the point when high school and college beat the love of reading out of me. It took me twenty years to recover from higher education and return to my true love: FICTION. Not the depressing grown-up stuff, but good stories with defined arcs and satisfying endings — usually happy, but certainly resolved. Or a cliff-hanger for the next book. But definitely a sense of completion. And tucked inside, like the yolk of an egg, is a tangible lesson (but not preachy; heaven help us, no) about how to be better at this thing we call life. FICTION is the center of the Venn diagram of reading: it's what everyone who can read can read. Clean but not prim, suspenseful but not terrifying, positive but not gooey. As I write this, my seventeen-year-old son is taking a break from college-application essays to read Jonathan Stroud's Ring of Solomon; my freshman daughter for her birthday wanted only the third Mortal Instruments book. My kids are readers. Just like me, they read fiction. Here’s my list of good FICTION, culled from three bedrooms’ worth of shelves. I don’t have a clear-cut sense of the boundaries between fiction and young-adult, or the boundaries between fiction and chapter books. Many of these books are probably labeled one or the other. But I leave to others the task of parsing borderlines, and say only that many kids between 5th and 8th grade will enjoy these. And many other ages will, too. An epic story about rabbits. It's long and broad and deep, and great for earnest middle-schoolers weary of normal fare. Witty as only the British can be — robots and Queen Victoria. 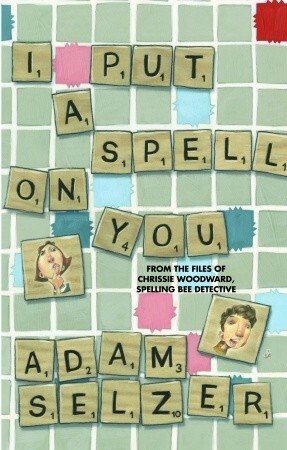 For younger readers, but clever enough to attract clever older ones too. 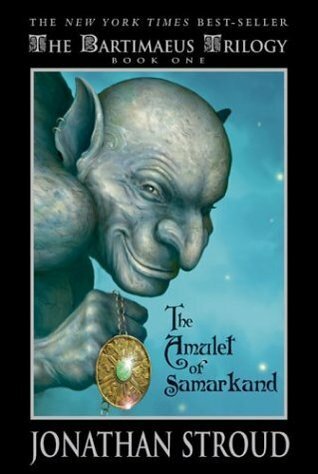 The Bartemeous Trilogy and now The Ring of Solomon by Jonathan Stroud. 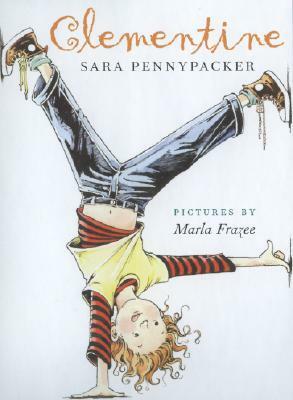 Again, is this middle-grade or YA? How many demons can dance on the head of a pin? My son read them in middle school, ergo they're FICTION. This book is over 100 years old, but gosh it doesn't show. 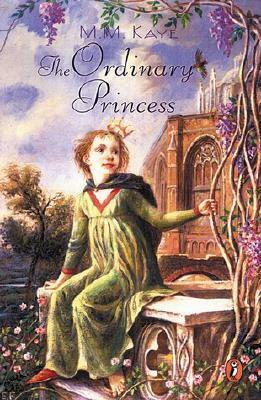 I think this was the favorite book in our mother-daughter book group, and a neat window into history, too. 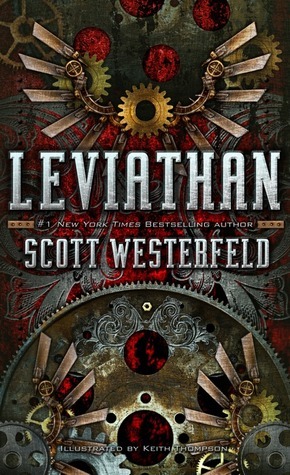 I don't do scary books, but I did this one (it's not that scary, but so taut!). Another great window into history, and into the hardscrabble yet adventurous life of Victorian orphans. This time it’s a history of the Dark Ages of the 1970s, way back when kids could cross the street by themselves. 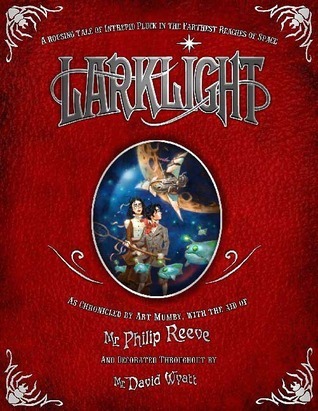 Fantastic, fantastical story. I’m sensing a theme here, at least for me: clever stories attract a range of ages. Ten pages in, my son announced that this was the best book he’d ever read in his life. 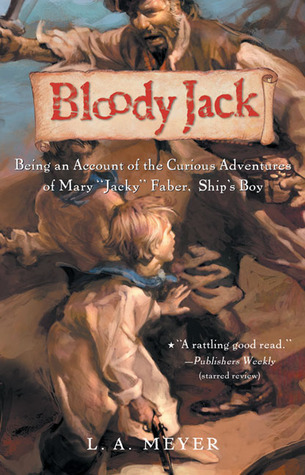 I love the setting, I love the history, but most of all I love the voice — an orphan girl disguised as a boy working on a British man-o’-war. I have not read this, but my daughter, who is extremely picky, read it five times. A California girl finds out she’s the daughter of a Greek god — what’s not to love? 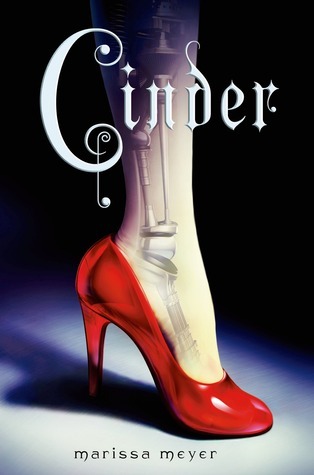 Another daughter favorite about a cyborg Cinderella. 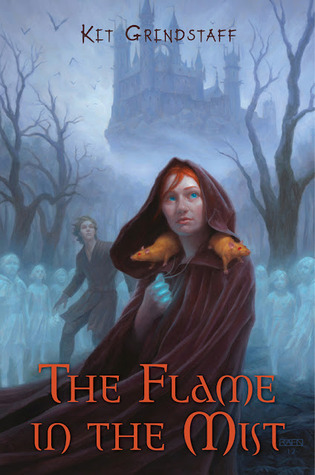 Now my daughter’s waiting breathlessly for the third book in the series. About two years ago, I came across a program called Bibliobop from a blog called Storytiming. One thing librarians are great at is sharing programs and ideas, so I emailed Storytiming, asked if I could take the idea and name and use it at my library, and my version of Bibliobop Dance Party was born. It's one of my most favorite programs that I run. The idea of Bibliobop is to give kids and parents a chance to dance and have fun with creative movement while highlighting the great music collection the library has. I always tell parents that all the music I use is available to check out and it's a great way to let them hear kids artists that they might not know about. Plus, it's just a blast to run and get to dance with kids! In each dance party I include scarves, instruments, parachutes, and I've even done rhythm sticks, though my crowd tends to run a little young. I advertise the program for ages 2-6, but end up with mostly 2-3 year-olds and some baby siblings. I start each dance party with a book that's about singing or dancing or music, because every library program needs a book and this is another good way to highlight parts of our collection. Some of my favorites I've read: I Love to Dance by Anna Walker, Giraffes Can't Dance by Giles Andreae, Cha Cha Chimps by Julia Durango, Pete the Cat by Eric Litwin, and Hush Little Baby by Marla Frazee. -The big people in the room need to dance too! -And the most important rule: HAVE FUN!! Then we dance. I switch between songs that have activities along with them and songs that are for free dance. I also take a break about halfway through and read another story and have a rest period. The entire dance party lasts about 40-50 minutes depending on the age of the group and how much dancing they want to do. And it's a blast!!! I'm always looking for great music suggestions as well, so if you have some favorite kids music, let me know! Opening Song/Warm Up: Body Rock by Greg and Steve-a great warm up for little ones-I always tell them we have to warm up before we dance. I wasn't familiar with the industry term "middle-grade" before I became a children's author. I'd spent a few years working with kids, so I knew they had a massive range of developmental levels, interests, and abilities, but the industry's specific breakdown of recommended reading ages was new to me. 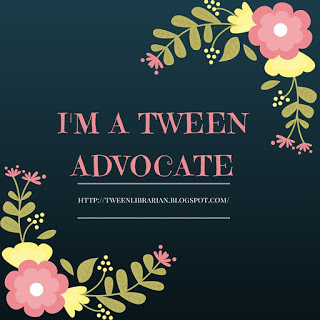 I knew I wanted to write for kids, and it was interesting to eventually realize that the stories I feel most compelled to write are for the middle-grade audience. It's an odd thing to be aware of that, because my own reading habits have never fallen within such concretely defined boundaries. 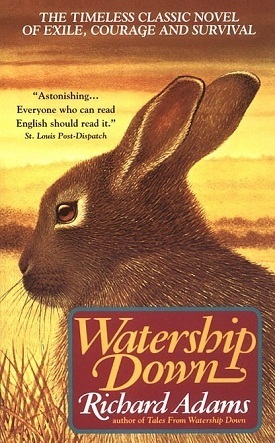 I started reading Stephen King's very adult horror novels when I was 12, but I also continued reading Anne McCaffrey's fantasy novels (which I think of as middle-grade) in my twenties and thirties. 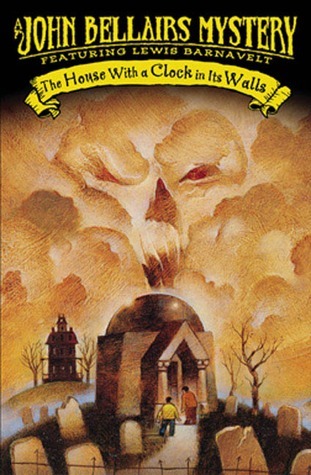 McCaffrey's HARPER HALL trilogy still has the power to instantly, stunningly evoke the sensations of the summer when I first read it, during the summer between fourth and fifth grade. 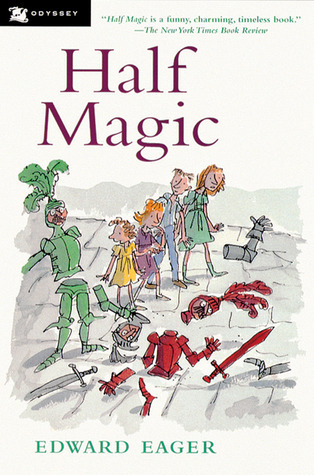 The MG years were when my love of books was permanently embedded into my psyche, and my future as a lifelong reader was indelibly cast. The books I read as a middle-grade reader were the most important books I've ever read, and one of the many joys of starting my career as a published author has been discovering the abundance of contemporary MG books with the same potentially life-altering power. 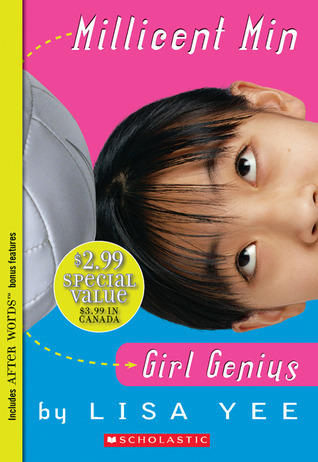 Millicent Min, Girl Genius won the inaugural Sid Fleischman Humor Award, and deservedly so – it’s one of the funniest books I’ve ever read. It’s no one-trick pony, however. Millicent is indeed a genius in the intellectual sense, but psychologically speaking she’s one of the least self-aware characters around, and the inverse relationships between those characteristics creates very real social and emotional barriers for her to overcome. 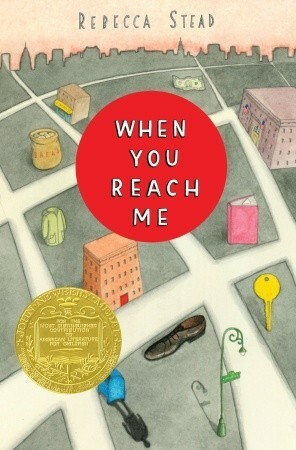 Millicent’s struggles are funny, painful, real, and very relevant to all MG readers, geniuses or not. These days Robin LaFevers is deservedly celebrated for the success of the His Fair Assassin trilogy, but my case of LaFevers Fever was fully diagnosed while barreling cheerfully through the Theodosia Throckmorton books. 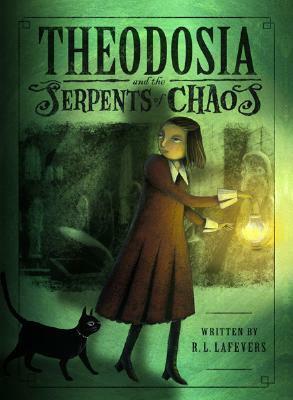 The eponymous Theodosia is one of the most appealing protagonists in middle-grade fiction. The child of two very distracted Egyptologists, Theodosia possesses the ability to detect curses on ancient artifacts, but her innate sense of responsibility is what puts her in the middle of an increasingly hair-raising series of adventures, and her perseverance, quick wits, and refusal to be intimidated see her through those adventures. Theodosia rocks. 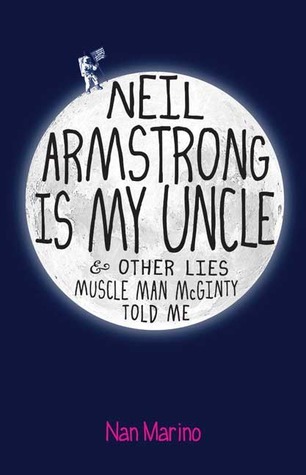 Tammy Simpson, the protagonist of Neil Armstrong is My Uncle, is self-absorbed, occasionally unkind to the other kids in her neighborhood, and overly hostile toward Douglas “Muscle Man” McGinty, a foster child who recently moved into the house of her former best friend Kebsie. The loss of a best friend who no longer appears interested in being friends at all has devastated Tammy, but Muscle Man’s inability to stop telling exaggerated lies about himself masks a much greater tragedy, and it’s a mark of the author’s skill that sullen, crabby Tammy finds redemption for her regrettable behavior in a way that wins the reader’s respect and affection without being untrue to her thorny persona and difficult circumstances. Reggie McKnight’s school year has begun in hideous fashion, illustrated by his new, unwanted nickname, “Pukey,” and his family is coping with financial uncertainty. Reggie has big dreams, however, as well as an equally big conscience and sense of community belonging, and it’s easy to root for him as he willingly grapples with a growing set of responsibilities and challenges. There’s a scene in which Reggie cracks a joke about Dr. Martin Luther King Jr. in response to a mock threat from his friend Ruthie – when I read that scene my head spun, because in that moment I understood Reggie’s life with utter clarity – his parents’ backgrounds, his daily family interactions, and the kind of communities he engaged with. Olugbemisola Rhuday-Perkovich does a remarkable thing with 8th Grade Superzero; she takes heavyweight topics like social justice, faith, and civil rights activism, and blends them into a story that’s as funny and light as it is serious and profound. 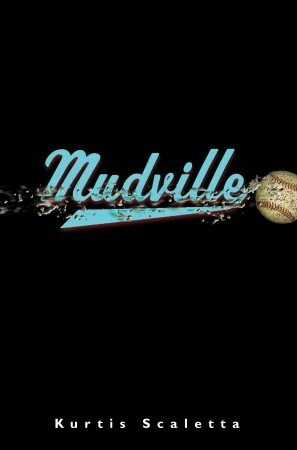 I read a lot of Matt Christopher’s books while growing up – Catcher with a Glass Arm was a personal favorite – so it was a great pleasure to discover Kurtis Scaletta’s debut novel Mudville, which takes place in a town where it’s been raining for 22 years straight. The onset of the rain interrupted a legendary baseball game that the adults of rival towns Moundville and Sinister Bend still regard as unfinished business. 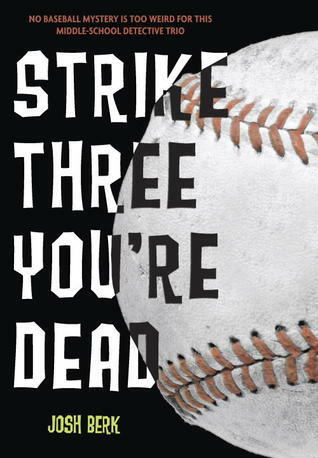 Kids who are either baseball players or fans will be quickly drawn in by the author’s unabashed devotion to the game, but it’s also a thoughtful examination of the complex relationships between boyhood friends, fathers and sons, and local communities. There are so many things I love about this book that I’m having trouble deciding which of them to point out. 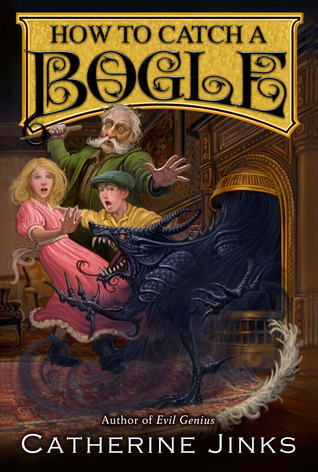 I’m not the first person to describe The Boneshaker as “Bradbury-esque,” but I am the only person describing it that way in this blog post, har de har har. 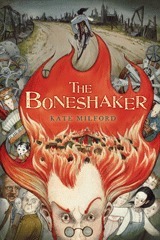 Set in 1914, The Boneshaker features a bare-knuckled, take-no-crap protagonist named Natalie Minks, a mysterious and tragic antagonist named Jake Limberleg, a traveling medicine show, creepy clockwork automatons, deals with the devil, high-intensity showdowns between good and evil, small-town entanglements, family histories…yeah, there’s a lot of great stuff. The author juggles all those elements with aplomb, creates an atmosphere that I want to describe as “mythical” as much as anything else, and brings it all home in rushing, terrifying, exhilarating style. Gregory K. is a poet, an aficionado of fresh-baked pie, and utterly incompetent at math, which is problematic when you’re the middle child in a family of mathematical geniuses. 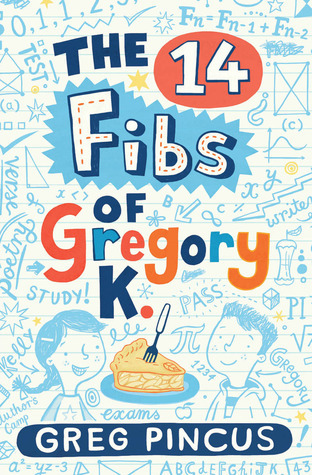 The 14 Fibs of Gregory K is bursting at the seams with charm – readers will be thoroughly taken by the devoted friendship between Gregory and his best bud Kelly, and the bakery owned by Kelly’s mother will instantly give those readers a new standard for ideal afterschool hangouts. On a deeper level, I suspect most (if not all) kids will relate to Gregory’s struggle to reconcile his own interests and abilities with the conflicting interests and abilities of his family. It’s no easy feat to make math and poetry this appealing, but the author manages it nicely, and if his readers are anything like me, this book will get far enough under their skin that before long they’ll start writing “fibs” (poems structured according to the Fibonacci sequence) of their own.